An app for basic projection mapping, a technique using a projector to precisely map video to real world surfaces. This app was originally designed for DJs to show live feedback from modern digital DJ software onto the more traditional turntables and mixer combination. There is potential for it to do much more. Currently the application supports video, screen capture and syphon sources, as well as quartz composer support for custom image processing. The application is OSX 10.8 and up for the moment. 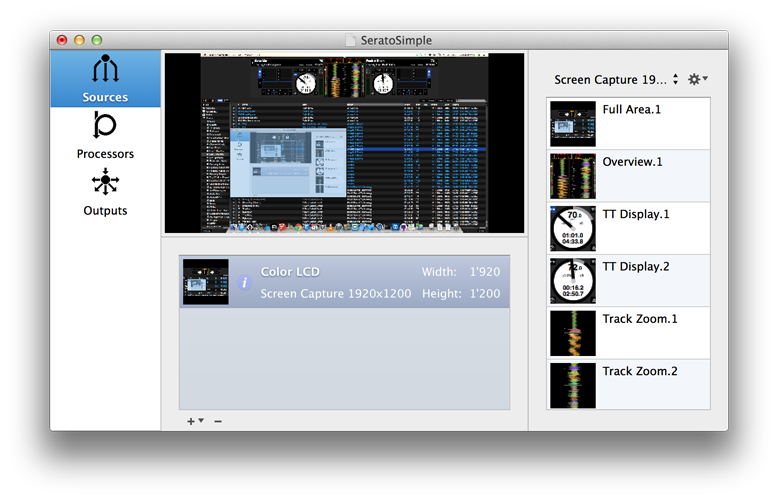 Future planned features include more filters, custom masks and syphon output.